His Honour Judge Donald Cryan delivered a lecture at City titled “Family Arbitration, The First Five Years and Its Future”. On 30th March 2017, His Honour Judge Donald Cryan, delivered a lecture titled, "Family Arbitration, The First Five Years and Its Future”. In 2012, Judge Cryan was one of the founders the Institute of Family Law Arbitrators (IFLA). He became the Chairman of the Advisory Committee of the Institute and helped establish the first schemes for both child and financial arbitration in England and Wales. 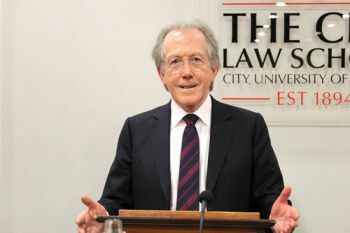 During his lecture, in the Atkin Building, Gray's Inn Place, Judge Cryan recounted the history of an entirely new mode of binding alternative dispute resolution by innovation and consensus, without additional legislation. Judge Cryan’s lecture considered the practical implications for family arbitration expanding in such a way that it eases the burden on the court system and provides a swifter, cheaper, private and more appropriate method of resolving family disputes. Judge Cryan was called to the Bar in 1970. He developed a wide-ranging practice, which included family law and civil and criminal litigation. He was appointed a Circuit Judge and authorised to sit as Judge of the High Court, Family Division, in 1996. 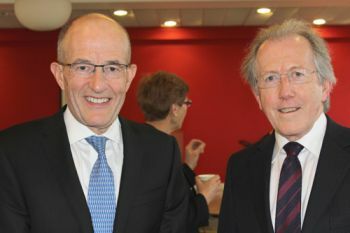 He became a member, and then chairman, of the Centre for Child and Family Law Reform, a research and study centre sponsored by The City Law School. Judge Cryan remains a member of the Centre in an emeritus capacity. He accepted the Chairmanship of The City Law School’s Advisory Board in 2009, and was granted an Honorary Doctor of Laws from the University in 2012. Judge Cryan was appointed Reader of the Honourable Society of the Inner Temple in 2015 and was Treasurer (Chairman) of the Inner Temple in 2016. For more of Judge Cryan's thoughts on family arbitration, please visit this weblink. To hear the views of family law practitioners and students on Judge Cryan's lecture, please visit this weblink.